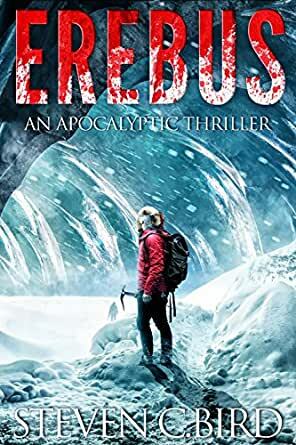 Erebus: An Apocalyptic Thriller - Kindle edition by Steven Bird. Mystery, Thriller & Suspense Kindle eBooks @ Amazon.com. Erebus – A science fiction, apocalyptic thrill-ride like no other. "Totally unique apocalypse: an unintended release sets the apocalypse in motion..."
"Erebus pushed all my right buttons; an Antarctic, foreboding setting, unearthing a biologic disaster hidden for millennia and a race to save humanity from it..."
"This is a captivating thriller..."
"Sci-Fi fans beware! Honestly, I was a bit surprised by the thrill and intensity of this story..."
After lying in wait for millions of years, deep within the Earth beneath Mount Erebus on the frozen continent of Antarctica, an unforeseen threat emerges, leaving a scientific research team to face the horrors that await them at the bottom of the world, alone. Steven Bird is also the author of The New Homefront Series, as well as the Society Lost Series. His work can also be found in several Kindle Worlds novellas, including The Edge of Civility and JET: Dangerous Prey. Steven Bird was born in 1973, deep in the Appalachian Mountains of Harlan County, Kentucky. Upon graduation from high school, he joined the U. S. Navy where he served eleven years on active duty, obtaining the rank of Chief Petty Officer before transferring to the Navy Reserves. Transferring to the reserves allowed him to pursue a professional flying career while continuing to serve his country. He ultimately retired with just over twenty years of service. While on active duty, he earned a BS degree in eBusiness, as well as all the professional flight certificates necessary to begin his new career. Once in the reserves, he worked as a flight instructor, charter pilot, airline first officer, airline captain, and is currently the captain of a super-midsized business jet based out of Knoxville, Tennessee. 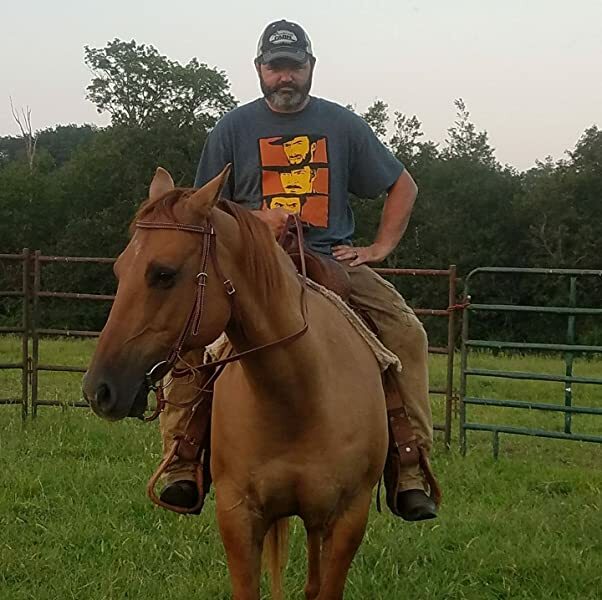 Steven, along with his wife, son, and two young daughters, currently lives on a farm on the Cumberland Plateau in Tennessee where they raise horses, cattle, sheep, chickens, ducks, turkeys, and bees, as well as grow their own fruits and vegetables. In addition, they are currently pursuing their dream of building an off-grid, self-sustainable home, as well as developing the land to suit their desire for a true self-sufficient lifestyle. Over the years, he has been heavily involved in competitive shooting, off-road motorcycle racing, snowboarding, hiking, camping, hunting, fishing, and, of course, writing. Steven Bird is a self-sufficiency-minded individual with a passion for independence and individual liberty. He puts his passion into his writing where he conveys the things that he feels are important in life, intertwined with action-packed adventure and the struggles of humanity. Note: I never give books 4 star reviews because I have never read the perfect book. Note 2: I have met and had dinner with the author, but he did not give me the book or ask for a review. I did not run across any editing, spelling, or grammar issues that caused me to stop and re-read a part, so there may be some, but I didn't notice them. I quit reading this type of book a couple of years ago due to factors such as poor writing, poor editing, poor story and character development and the same basic story line where the characters go from one unwinnable situation to another somehow succeeding where no reasonable person would think it was possible in any way for them to win. The majority of these types of books haven't been worth the time it has taken to read them, and definitely not worth the time to review. That being said, I am extremely happy that I purchased and read this book, because had I not, I would have missed a great book. The story, characters and situations are well thought out and play out in a realistic fashion (sometimes good, sometimes not). The characters are developed well as the story goes, not described up front. You get to know them and their traits the same as you would in life, as you see them act/react in various situations. Some grow and rise to the occasion, while others falter, and some surprise you. The story is well thought out and it is obvious that the author has done a lot of research in putting this book together in the location, conditions, science and possibilities go. The book is an enjoyable read, and even with the details of the issues, and subject matter, it does not read like a lot of books where the details are thrown in just to prove that the author knows something about the subject or as filler. There are no areas where you read purely descriptive text that has nothing to do with the story (the walls of the building were garnished in a russet gold speckle than was incredibly detailed by fine master craftsman from the granite floor to the crenelated ceiling 18' 3" above, reminiscent of the work done 134 years ago, blah, blah, blah). Instead, the details that are there are there for a reason and add to the story rather than distracting you from the story. To me, this book is written on the same level as those of the "big writers". When reading this book, if I didn't know who the author was, I would have said it was James Rollins due to the quality of the story, characters, writing, the subject and the science. Generally, at some point in most books like this, the science and the situations get somewhat overwhelming, or the author tries to add too much and I get to the point where I just want the book to move on so I can finish it and see what the result it. That was not the case with this book. I found that the author struck the right amount of details where needed, and didn't add more to the story where it wasn't needed. The book flowed well from start to finish and never got to that point where I was wanting him to "get on" with the story so that it can be done. If you have any doubts, this is one of the best books I have read in a long time and definately worth reading. Even though I would like to offer the author advice on how to make the book better, more enjoyable, etc. I can not think of anything that I would change. This is without a doubt the best book the author has written (and his other books were good as well) and I hope to see more books from him along this same line (science based with good characters and story) in the future. Last night, way too late, I finished reading this book. Steve did an excellent job of making me see the actual setting there and the issues of just being there on a good day, much less a major horrifying event unfolding. I did pick up on a comment or two that may have some bearing on a subsequent book to explain what happens next. This weekend is an excellent time to read it as you will not want to stop reading to do other things. I loved the found prepper that helped the main characters through difficult situations. I recommend this as a good way to exercise your mind and forget your day to day issues. Another win for Steven C Bird and his writing. 5.0 out of 5 starsBird does it again! Stephen Bird has proven himself to be a skilled, well researched writer. If anything, he has out done himself with Erebus. The characters are real to life with the foibles and strengths that ensures the reader becomes immersed in their world. Taking place in Antarctica, the danger becomes twofold; to survive the danger unleashed upon the world and to survive the dangerous climate. The reader becomes invested in the characters, who become real to them. An extremely well written, cohesive tale of strife in a hostile universe. I whole heartedly recommend this book. Wow! An amazing read. This author puts you in the driver seat for a full fledged action packed thriller in Antarctica that keeps you on the edge of your seat as you grow to love the characters that you are constantly cheering for and telling them to "watch out" "don't go in there " .... all the while learning about the beautiful continent and the amazing challenges the scientists face in a very harsh environment. Way to go Steven. Can't wait for the next one. Whoo hoo!